Defence Minister Marise Payne has announced the approval of a $495-million investment in new Northern Territory defence facilities as part of support for major Australian and allied operations in the region. The $495-million project will be split into a number of phases, with phase one including the $223-million base redevelopment which will include an upgrade of critical in-ground infrastructure, support on-base growth over the next 25 years and will improve the working environment for defence personnel. “The project will enhance the Australian Defence Force’s (ADF) capacity to conduct operations and exercises in the north of Australia, while providing fuel storage and refuelling capabilities to meet current and projected demands,” Minister Payne said. 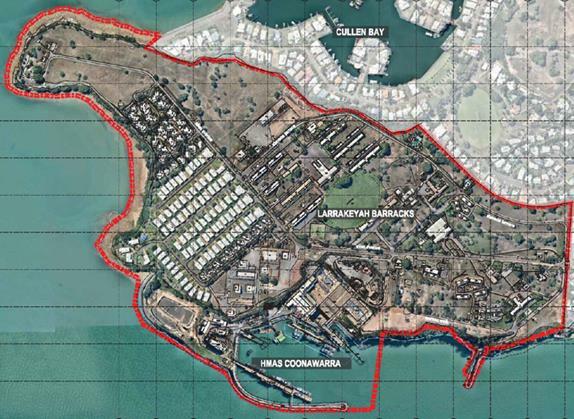 Phase two, will see $272 million for facilities to support naval operations in the north project and will deliver a new outer wharf to support the Royal Australian Navy's major surface combatant ships and submarines at HMAS Coonawarra. Both Larrakeyah Defence Precinct projects will be delivered by Laing O’Rourke as managing contractor, with construction works scheduled to commence in late 2018 and due for completion by mid-2023. A Local Industry Capability Plan aims to maximise opportunities for small to medium local businesses in the Northern Territory to compete for and win sub-contract work on these projects.